Over the last few weeks, Chinese authorities have seemed determined not to let the viral popular uprisings that have transformed politics in the Middle East spread to China. 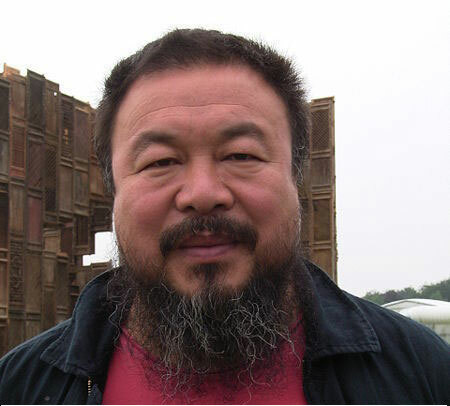 As I read recent reports of actions taken against Chinese dissidents, it seemed to me chillingly likely that the crackdown might eventually waylay Ai Weiwei, the internationally prominent Chinese dissident artist . Now this has apparently happened. Ai, who has repeatedly skirmished with Chinese authorities but managed to continue his provocative challenges to the status quo, was taken into custody today as he attempted to board a plane to Hong Kong (en route to Taiwan). 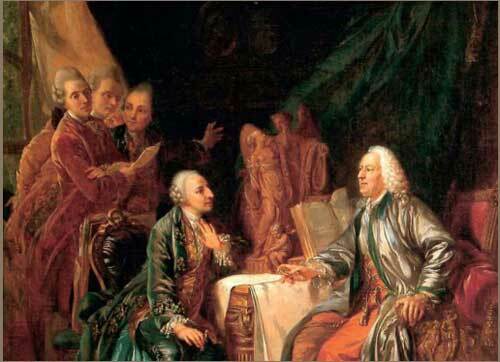 Speaking of Berlin, a major loan exhibition, The Art of Enlightenment, with almost 600 European 18th-century works drawn from the collections of three German museums (Staatliche Museen, Berlin; Staatliche Kunstsammlungen, Dresden; Bayerische Staatsgemäldesammlungen, Munich), opened Saturday for a year-long run at the National Museum of China, Beijing, “as part of a Sino-German agreement signed last year,” as reported by TimeOut Beijing. The Germans may be uniquely well situated to advocate on Ai’s behalf (which is not to say that other countries, including the U.S., should refrain from exerting their influence). 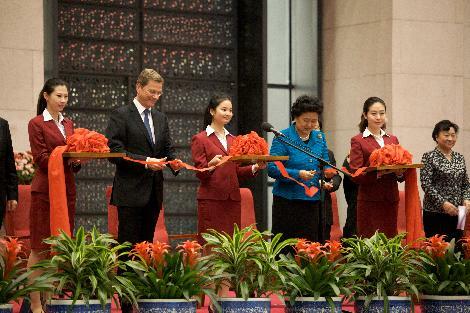 The German-language newspaper Berliner Zeitung had expressed the hope last Tuesday that the crackdown on dissidents would be a “key theme” explored by German Foreign Minister Guido Westerwelle during his visit this weekend in Beijing, which was pegged to the exhibition’s opening. The cultural pomp and ceremony on Friday were in stark contrast to the sordid happenings two days later at Bejing’s airport and Ai’s studio. The idea that art can change people and society became the guiding tenet of an entire epoch.